We waved goodbye to Koh Kood embarking on a day of travel via taxi, ferry, and bus back to Bangkok, where we would fly to our next destination the following day. 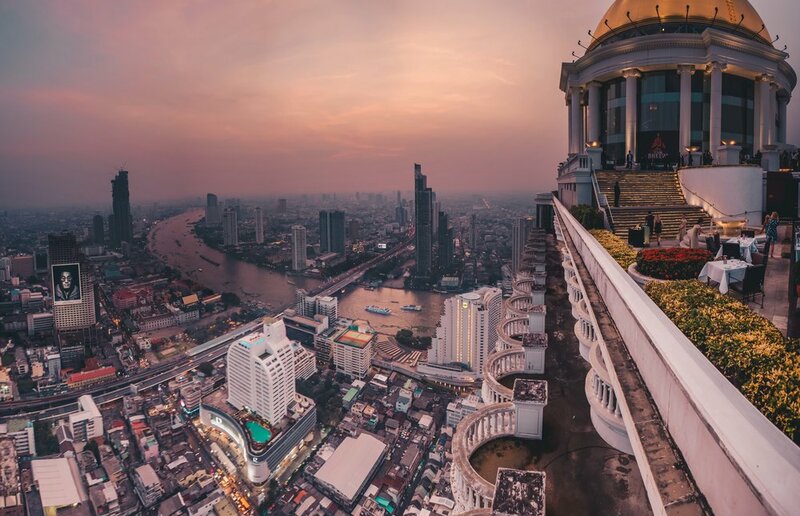 We got to our hostel in Bangkok just in time to freshen up and walk over to Sky Bar, one of the most popular rooftop hangouts in the city (yup, it's the one from 'The Hangover II'). Although we spent on two cocktails more than we had spent on food and drink for the past 4 or 5 days, the view was 100% worth it… And the drinks were pretty damn good as well.